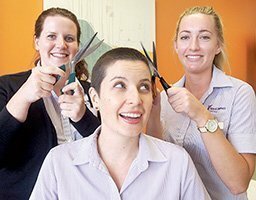 Occupational therapist Susan Purcell and physiotherapist Katie Goodear took the scissors to the hair of Royal Rehab’s Acting Clinical Operations Manager Cassandra Medcalf (pictured) last Friday. 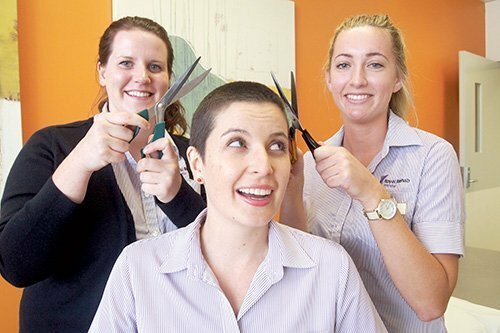 Cassandra’s close shave is part of this month’s World’s Greatest Shave to raise money for the Leukaemia Foundation. 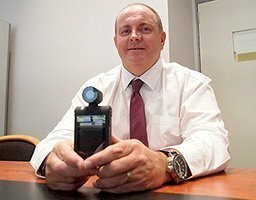 Royal Rehab CEO Stephen Lowndes praised Cassandra’s ‘bold commit-ment’ to a good cause. “Cassandra made a commitment to cut her long hair because she sees many patients lose their hair to leukaemia,” he said. 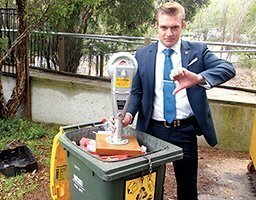 Cassandra said staff at the Royal Rehab are as enthusiastic as she is, although not trained hair stylists. 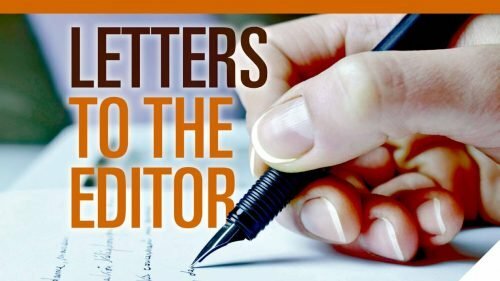 “Other people lose so much to this disease, losing about 40cm of my hair is a small sacrifice to draw attention to the needs of others” she said.